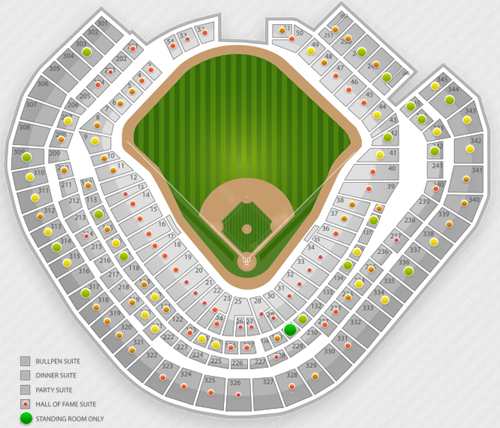 Looking for Tigers Rangers Game 6 tickets > Jump straight to the interactive seating chart by clicking here. This year’s American League Championship Series (ALCS) returns to Rangers Ballpark in Arlington, TX, for Game 6 between the Texas Rangers and Detroit Tigers. Billed primarily as a matchup of Detroit’s overpowering ace, Justin Verlander, and the Rangers’ powerful lineup led by Josh Hamilton and Nelson Cruz, this series is returning to Texas for at least one more game after a dramatic Game 5 saw Detroit take control with Verlander’s pitching and a four-run inning from its lineup. Now it’s up to ALCS Game 6 starters Max Scherzer (Det) and Derek Holland (Tex) to face each other again and give their squads the bast chance to be ahead after nine innings. These two pitchers squared off in Game 2 and each surrendered three earned runs. Holland was chased early, but the Rangers’ bullpen kept the team in the game by shutting out the Tigers and allowing the Texas lineup to storm back in extra innings to secure the win. Both pitchers will be looking for their first series win in the ALCS Game 6 on Saturday, 10/15. Because of the new 2-3-2 format for the Major League Baseball Playoffs, the Rangers return home with a 3-2 series lead and two chances to win in front of their home crowd. If they succeed, Texas will become the first American League team to make consecutive World Series appearances since the New York Yankess (1998-2001). 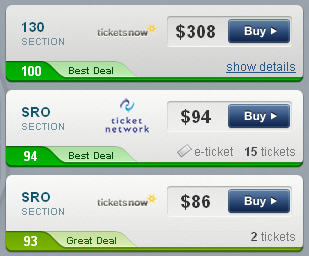 The average price for a ticket to this American League Championship Series game is $195. 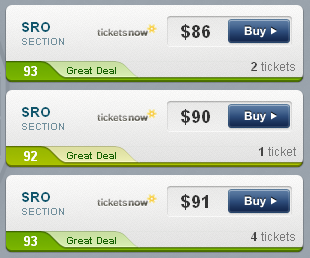 The cheapest walk-in ticket is a Standing Room Only (SRO) one for $86/ticket. The most expensive ALCS Game 6 Ticket Prices currently listed is in section 20, just behind the visitor dugout, for $1,006 each. According to the Best Deal ratings provided by SeatGeek, the best option you have is in the lower bowl on the first base side of home plate (section 130) for $308/ticket. Two great views available at the Rangers Ballpark in Arlington are behind home plate ($679/ticket in section 28) and near the batter’s eye grass in center field. If you want to be close to the action of fans racing for a home run landing in the yard beyond the fence, section 51 has ALCS Game 6 Ticket Prices starting at $197. Given the Texas Rangers ability to clinch at home, ALCS game 6 ticket prices are higher, as you’d expect than they were for the previous one in Arlington (game 2). This series has gone into extra innings twice in five games, so you may want to consider an a ticket for an actual seat rather than an SRO option if you’d prefer to have a place to sit during bonus baseball. You can contact SeatGeek with questions about ALCS Game 6 Ticket Prices via twitter (@SeatGeek) or by writing to chad@seatgeek.com.